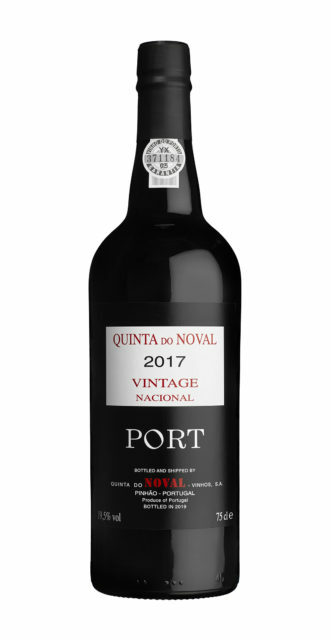 “Hot on the heels of the 2016s” Port estate Quinta do Noval has declared the 2017 vintage for both the Quinta and its ‘Nacional’ label. Alongside Symington Family Estates, the property has declared both the 2016 and 2017s as full-blooded vintage Ports, “perhaps among the best we’ll ever see,” according to managing director Christian Seely. Seely said he considered the wines, “to be among the best I have known during my time at Quinta do Noval. The decision to declare them was a very easy one. “As is well known, at Quinta do Noval, we do not hesitate to make small declarations of our Vintage Ports even in years which are not being generally declared, provided that the quality is excellent. “But the 2017 is clearly an exceptional year which I believe will be remembered as one of the historic Vintage Port declarations of Quinta do Noval. As was the case across the region, a hot and dry summer led to an early harvest and extremely concentrated (and small) crop.